Course Structure: 50-minute lectures three times per week; 50-minute discussions once a week; three-hour lab once a week. An intensive survey of structure, reactions and synthesis of the main classes of organic compounds. Laboratory illustrates the preparation, purification, and identification of organic compounds by classical and instrumental methods. Cite/attribute Resource. Schwartz, M. (Jun 27, 2008). Organic Chemistry II. 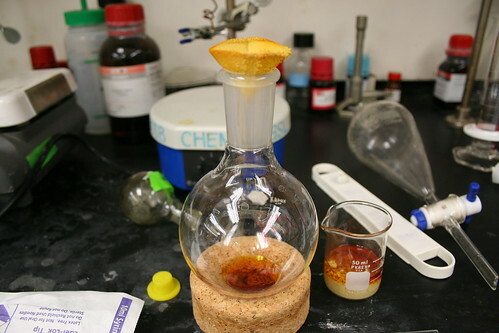 Retrieved Nov 06, 2014, from UMass Boston OpenCourseware Web site: http://ocw.umb.edu/chemistry/organic-chemistry-ii.